Hello, guys! Are you looking for a new smartphone? If you need all the features of next generation advanced technology and if your budget is over INR 55-60K, this post is only for you. I am introducing you a perfect smartphone LG-V20 which comes with all the advanced quality features from the popular and trustworthy brand LG. Yesterday, one of my friends came to me and asked my suggestion on latest smartphone under INR 60,000. He was confused between so many brands and I suggested him latest LG-V20 smartphone which was not even on his wish list. He got confused after knowing about one more new phone. But here, I am going to tell you that how ‘one more’ phone turned into his ‘only choice’ for latest smartphone. I think you might be interested to know the specifications and features of #LGV20. So here I am sharing communication between me and my friend about the features of LG-V20. You will get all the details of this phone in Question and Answer format. Que: LG! Is this a trusted brand? Ans: Of course Yes. LG Electronics Inc. is a South Korean multinational electronics company (brand) headquartered in Yeouido – dong, Seoul, South Korea and is a part of the LG Group, employing 82,000 people working in 119 local subsidiaries worldwide. LG Electronics Mobile Communications Company is a leading global mobile communication & information company. 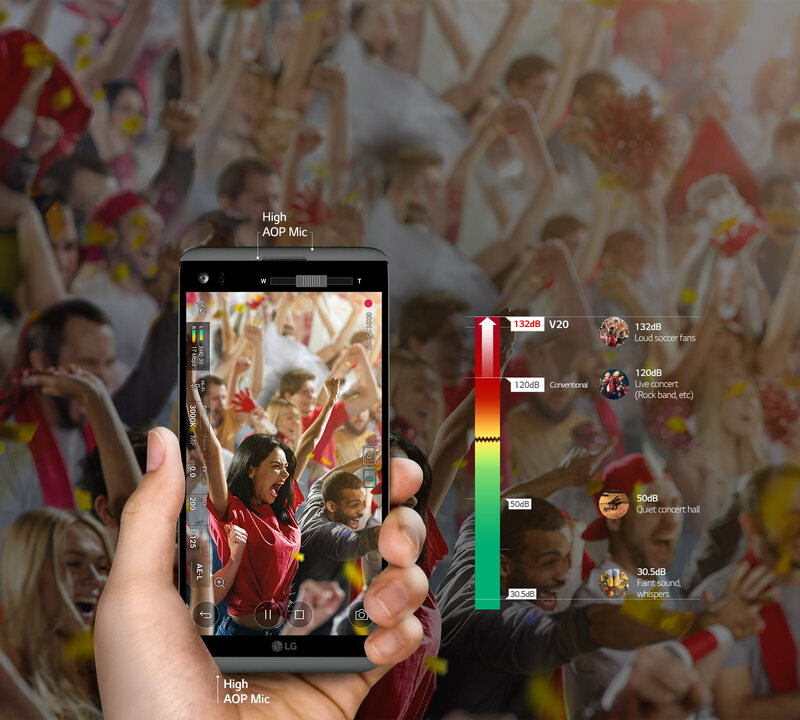 LG creates handsets that provide an optimized mobile experience to customers around the world with its cutting-edge technology and innovative handset design capabilities. 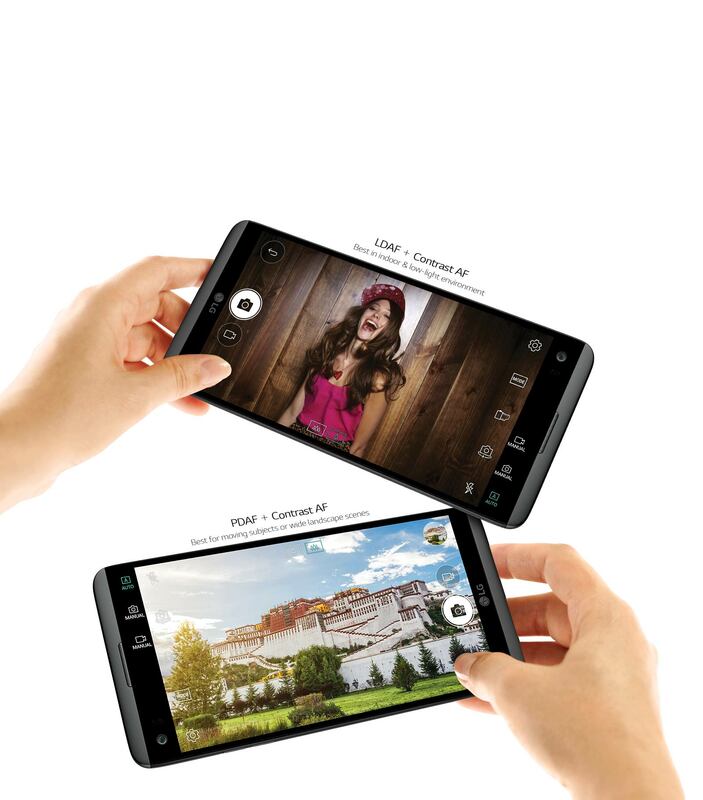 LG has recently launched LG V20 smartphone which has amazing world class features of a new generation with advanced technology and attractive design at the best price. Que: What are the main specifications of LG-V20? Wide-angle front and rear cameras to get the bigger picture. Record smoother, clearer videos even on the move. LG-V20 is built with sleek metal body and Si-PC material employed in each corner realize unrevealed durability for whatever life drop and the LG-V20 passed US Military Standard Drop Test (MIL STD-810G). Que: Tell me about camera features. Ans: LG-V20 is configured with 16 MP+8 MP dual primary camera with wide angle lens and 5 MP front camera. 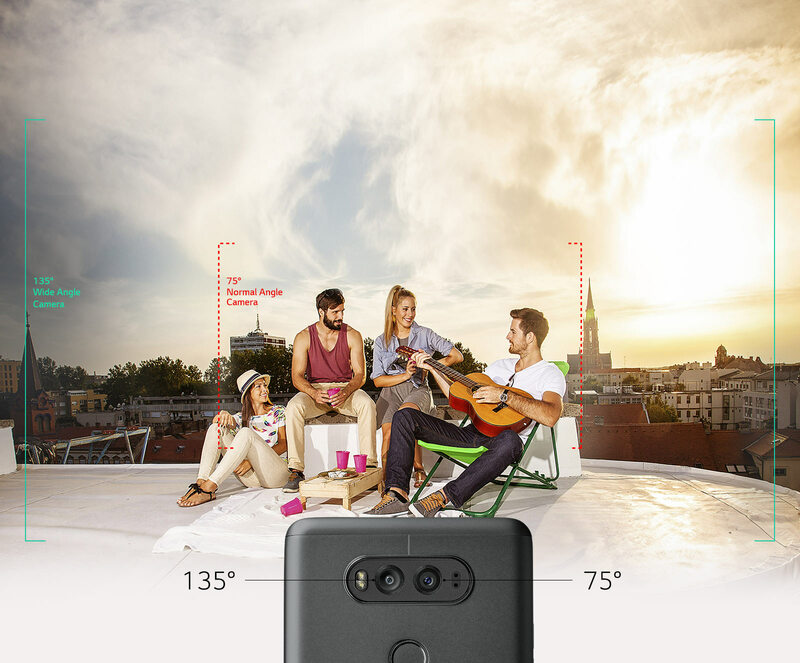 The wide angle capabilities on the 5 MP front camera allow you to capture selfies that get a wider background for more friends or more inclusive scenic shots. You can expand your selfie experience and get the bigger picture, no matter what the subject! You can capture more of every moment with the wide angle lens, allowing you to get it all in without having to take a step back. The wide angle lens captures on astonishing 135-degrees of stunning imagery - perfect for landscape, large group shots. Now, you can shot even the most sudden and unexpected moments of action on weekend retreats with friends. 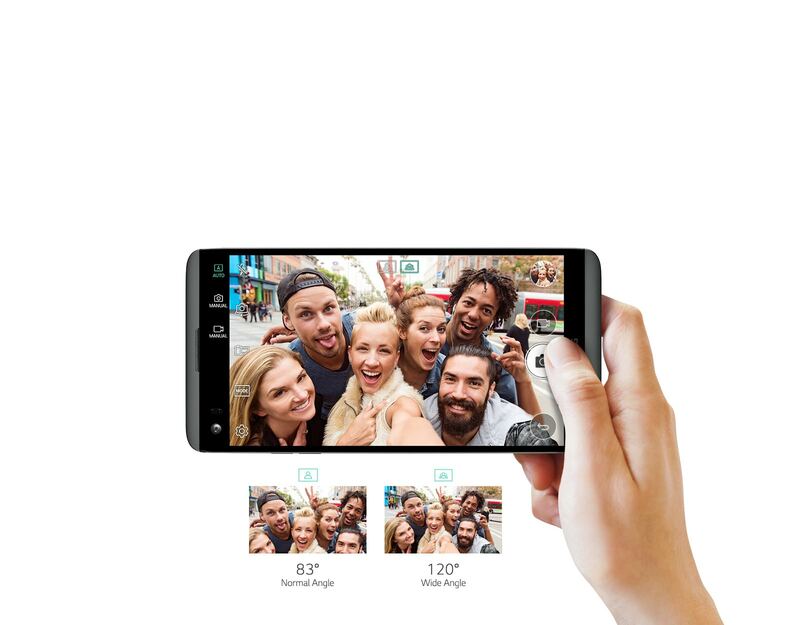 Whether you’re indoors, outdoors or in low light, the #LGV20 utilizes LDAF (Laser Detection Auto Focus), PDAF (Phase Detection Auto Focus) and Contrast Auto Focus technologies to capture every moment of fun. Que: What are special features of video recording? Ans: There are so many advanced features to shoot and record every moment’s video by LG-V20. You can Record crisp, clear content- even when you’re on the move. Steady Record 2.0 allows you to capture sharp, smooth video in any condition by minimizing unintentional hand shaking. 3 High AOP (Acoustic Overload Point) mics allow you to record loud scenes at sporting events without cheering fans distorting the sound. Then save the incredible moments in a lossless audio format with Hi-Fi Recording. 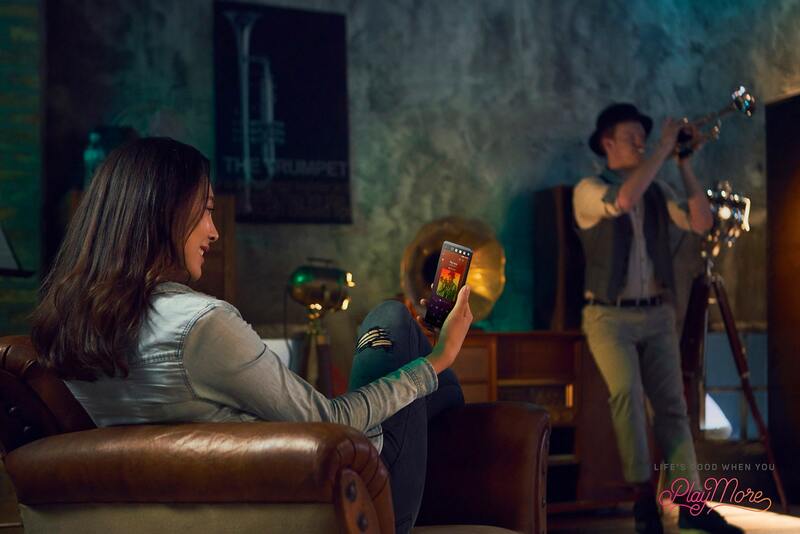 Record videos using Manual Video Mode customize the sound to your needs and wants, so you can eliminate noise and amplify those special moments. 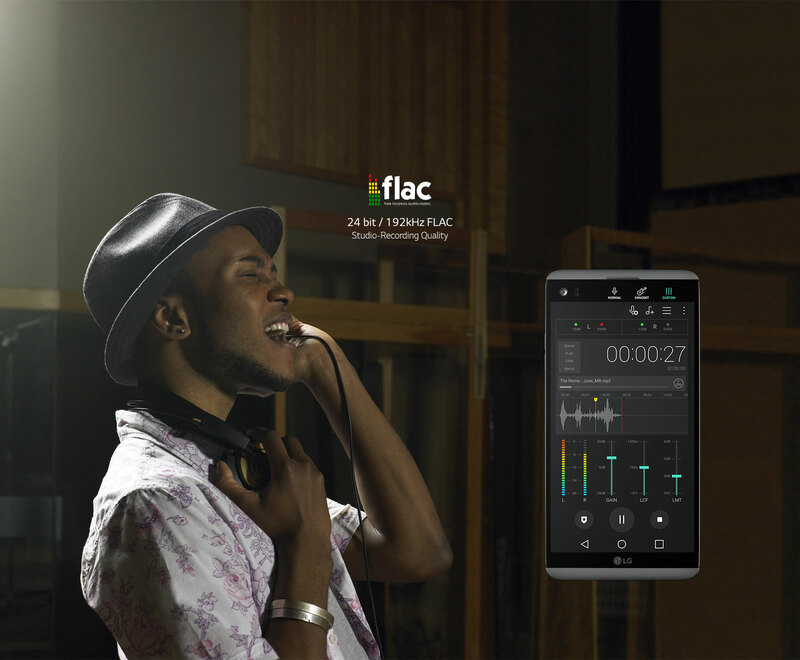 Que: Which are additional audio features in LG-V20? 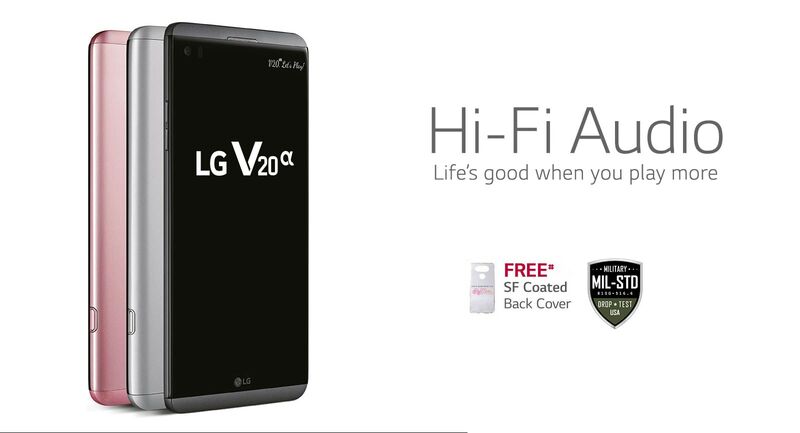 Ans: LG-V20 comes with so many amazing advanced features which give you superior audio quality. Quad DAC lets you listen to music that's closer to the original sound by reducing white noise and upsampling music files to Hi-Fi quality allowing you to feel like you’re at a live performance. 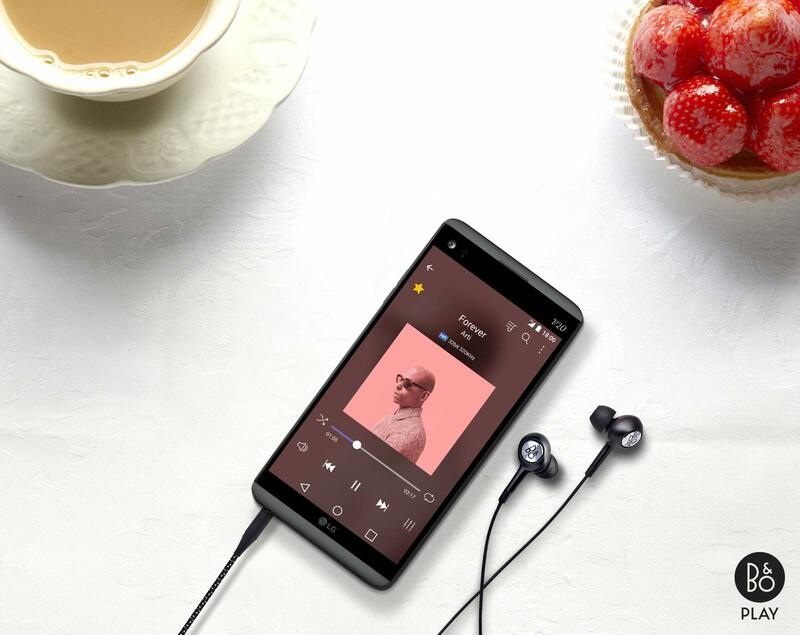 The LG-V20’s audio is tuned by B&O PLAY, and delivered through a specially designed set of B&O PLAY earphones for a beautiful sound experience. Capture studio-quality audio on the go with the ability to record over a separate audio track. 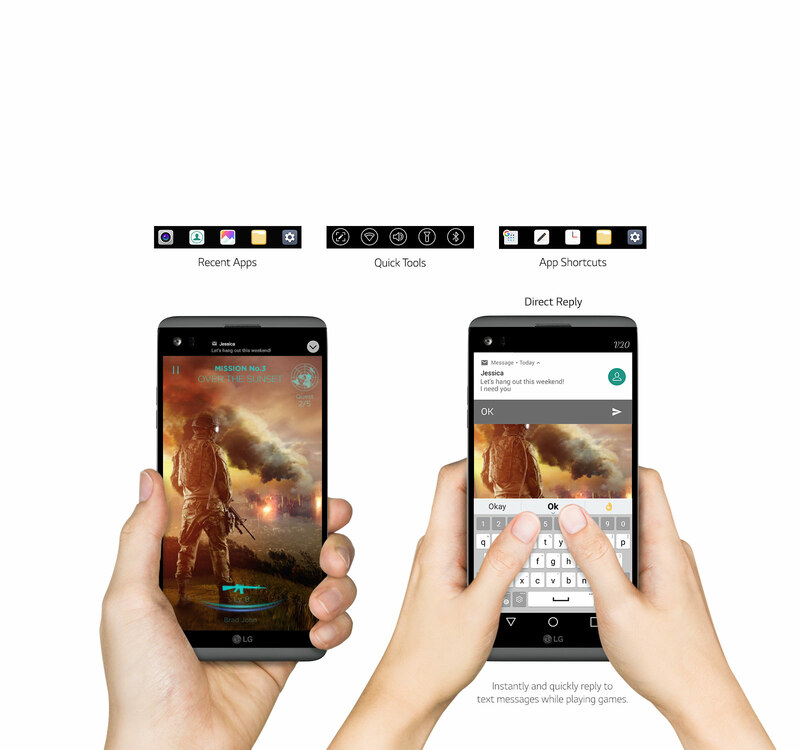 Que: Tell me about display and screen of LG-V20. Ans: LG-V20 smartphone is configured with 14.47 centimeters (5.7-inch) QHD IPS multi-touch capacitive dual screen with 2560X1440 pixels resolution and 513 ppi pixel density. You don’t have to waste time toggling- just use the second screen to access contacts, shortcuts and jump between apps. And instantly reply to text messages with Direct Reply, a new feature of the Second Screen. Que: What are next generation‘s advanced features in LG-V20? Ans: #LGV20 comes with an advanced operating system built with latest android version 7.0 Android Nougat. 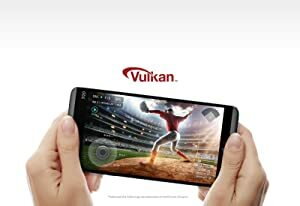 LG V20 invites you to the next level of gaming experience, fully supported by Vulkan API. Live a smarter life with the first smartphone to operate on Android Nougat, the latest operating system from Google. Use innovative new features like “In Apps” to quickly locate all apps and files related to your input. A Glance at all the features of LG-V20. Best Quality Camera: 16MP+8MP dual primary camera with wide-angle lens and 5MP front facing camera. A Big 5.7 inch Display: 14.47 centimeters (5.7-inch) QHD IPS multi-touch capacitive dual screen with 2560X1440 pixels resolution and 513 ppi pixel density. Advanced Operating System (Android Nougat 7.0): Android v7.0 Nougat operating system with 2.15 GHz + 1.6 Hz Kryo Qualcomm Snapdragon 820 quad-core processor Adreno 530 GPU, 4GB RAM, 64GB internal memory (ROM) expandable up to 2TB and dual SIM (nano+ hybrid nano) dual-standby (4G+4G). Last Sustainable 3200mAH Battery: 3200mAH lithium-ion battery providing talk-time of 14 hours and standby time of 136 hours. Manufacturer Warranty: 1-year manufacturer warranty for device and 6 months manufacturer warranty for in-box accessories including batteries from the date of purchase. B&O Premium earphones worth Rs 18,000 are FREEwith LG V20 and are included insise the box. Free SF Coated back cover is also included inside the package. LG V20 Upgrade with Assured BuyBack: There is also an assured buyback (as Amazon Gift Card) worth Rs 15,000-Rs 32,000 on an exchange of specific models. 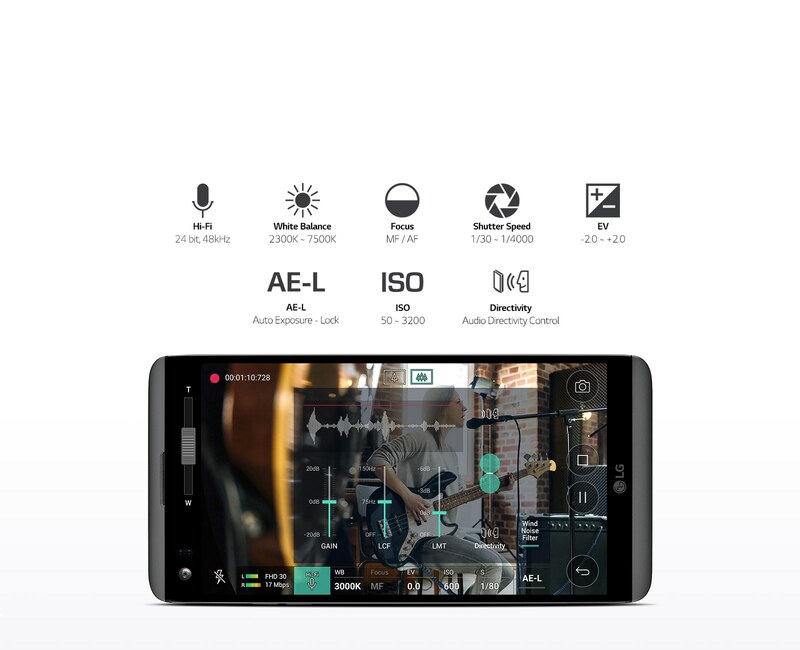 Know more about LG-V20 on the official website of LG.com. My opinion: LG-V20 is the perfect smartphone launched by the renowned and trustworthy brand LG which can fulfill all your needs because this smartphone is built with perfect design and configured with all the advanced technology specification. So if you afford to buy an smartphone above worth Rs 50K, LG-V20 can be a perfect choice for you. 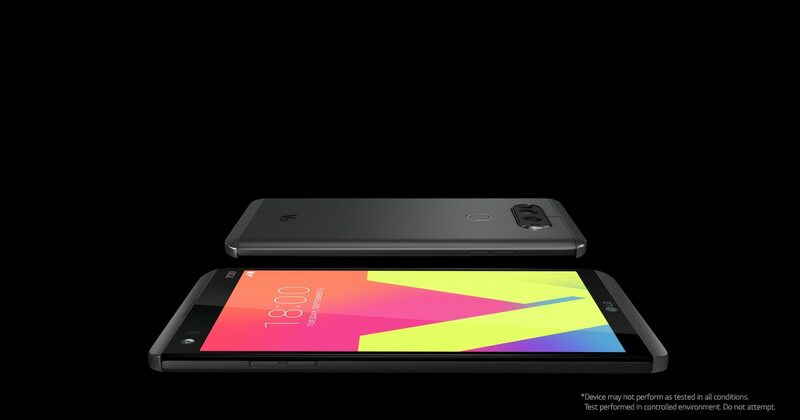 Products information and details of LG-V20 are taken from the official product page on lg.com and amazon.in. BookLysis and/or Author of this post will not responsible for any changes in the product info. We request our visitors to kindly contact amazon.in and/or lg.com before making a purchase. This blog post is a part of Contest for LGV20 campaign organised by LG in association with BlogMint . Thanks a lot for sharing this great article, I really appreciate the hard work you have put in. I will recommend your site to my friends for sure. Here I provide premium quality design and ultimate protection LG G6 Cases.